This is a step by step guide to install Piwik analytics software on Rackspace Cloud Server running Ubuntu 14.04 LTS with all the commands. We will recommend to open this detailed guide to Install WordPress on Rackspace Cloud Server (Ubuntu 14.04 PVHVM). All the need are exactly the same for Piwik, you will definitely not proceed to install WordPress. You will stop at the sub header named What is Next Steps. This is the backend setup for one server configuration running MySQL server on the same server. You can give the server a subdomain name like piwik.thecustomizewindows.com and add the A record and CNAME pointing towards your browser under the main domain record in Cloud DNS. You want to install Piwik on Rackspace Cloud Sites : read Installing Piwik on Rackspace Cloud Sites guide. You want to use MySQL Database as a Service not MySQL server on the same server. That is easy, simply create a new database. 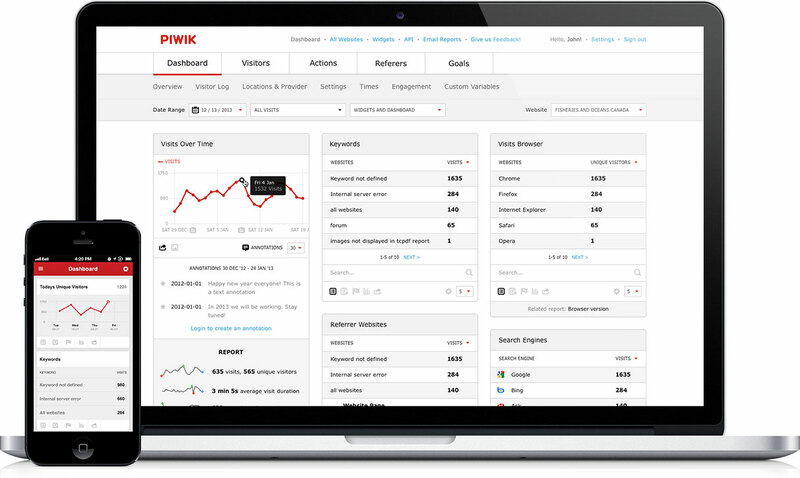 Basically, the steps to install Piwik analytics software on Rackspace Cloud Server is same like WordPress like we said before; still we are providing standalone commands, do not combine two tutorials unless you are cent percent sure what you are doing. Cite this article as: Abhishek Ghosh, "Install Piwik on Rackspace Cloud Server (Ubuntu 14.04)," in The Customize Windows, April 26, 2014, April 21, 2019, https://thecustomizewindows.com/2014/04/install-piwik-rackspace-cloud-server-ubuntu-14-04/.